Like the rest of us, archaeologists get set in their ways. They become used to looking at the same types of archaeological sites and doing so in the same ways. Sometimes it takes an outside force to pull them away from their pet subjects and ingrained habits. Cultural resource management (CRM) studies required by federal and state historic preservation laws and regulation have served this purpose in North American archaeology over the past half century. Archaeological field studies directed by the dictates of project design have come to dominate the practice of archaeology in the United States, with highway improvements and public works projects defining areas of required archaeological testing and study. Archaeologists may grumble about the limitations imposed on their interests by project boundaries and scopes—the really great site that we know is just outside the project area—but CRM studies have benefited the discipline of archaeology by directing the attention of archaeologists to settings and sites that we might otherwise have ignored. 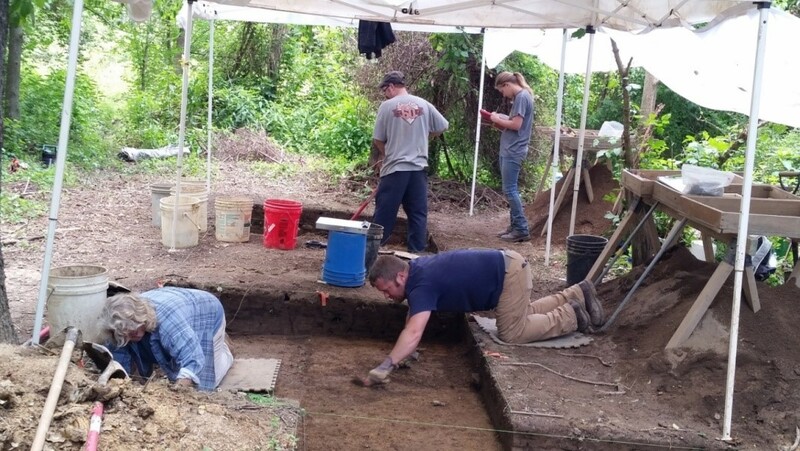 Recent archaeological studies in connection with a highway project in southwestern Pennsylvania highlighted this phenomenon. Proposed federally-funded improvements to State Route 519 in North Strabane Township, Washington County required that the Federal Highway Administration (FHWA) and the Pennsylvania Department of Transportation (PennDOT), Engineering District 12-0 consider possible project effects to archaeological sites. Among the precontact archaeological sites discovered during preliminary surveys was a small site overlooking a tributary to Chartiers Creek. Initial testing and subsequent large-scale excavation of site 36WH1729 revealed the remains of numerous brief encampments there, almost all of which dated to the Early and Middle Woodland periods, roughly spanning the period 1000 BC to 1000 AD (Raber 2018). This was a time of profound change in the Native cultures of eastern North America, witnessing the first sustained experimentation with plant crops, new technologies like pottery, and connections with regional ceremonial complexes like Adena and Hopewell based in the Middle Ohio River valley to the west (see previous posts here and here, for example). Our understanding of this period and the ties of local peoples to the Adena and Hopewell complexes, however, has been heavily influenced by the traditional focus on the sometimes spectacular remains found at mound sites like McKees Rock Mound and dozens of other burial mounds in southwestern Pennsylvania and adjacent regions of the upper Ohio Valley, or those uncovered at semi-permanent hamlet or village sites like those at the Fairchance Mound and Village site in nearby West Virginia. Available archaeological information is heavily biased towards those site types. The work at 36WH1729 joins several other recent studies in drawing attention to the distinctive set of activities and the use of local resources that occurred at small, briefly occupied campsites in the Ohio Valley and elsewhere in Pennsylvania (see Nass and Henshaw 2017; Raber 2017a, 2017b). Such studies have contributed detailed information on what happened at these small sites and how the sites were related to seasonal occupations at larger base camps and other specialized sites through large-scale exposures and intensive post-excavation studies of artifacts and features. The excavations at 36WH1729 exposed roughly 26% of the core site area, recovering more than 6400 stone artifacts and pottery fragments and 178 kg of fire-cracked rock. The exposure of 93 m2 revealed twelve confirmed or likely pre-Contact cultural features, all of which seem to have been hearth or hearth remnants, as would be expected at small, briefly occupied camps, where the family or task group present would have gathered around a hearth to cook, socialize and conduct most of the varied activities documented in the excavated remains. We defined the dates of occupation with 15 radiocarbon dates on charcoal taken from features and other contexts. The results of excavation and post-excavation analyses provide a detailed picture of life at a small upland camp used repeatedly during the Early and Middle Woodland periods. Studies of microscopic wear on stone tools allowed us to characterize some of the activities that occurred at successive camps at 36WH1729, while analyses of pollen and residues on both stone tools and pottery expanded our knowledge of the local environment, activities, and the materials obtained and used at the site. Small groups—probably nuclear families—camped here for short periods during the fall, hunted white-tailed deer and other game, and collected nuts and other wild plants available in the cleared areas around the site. Much of the activity seems to have focused on the collection and processing of black walnuts, the butchering of deer carcasses for meat, and the working of hides, bone, and antler. Most of the meat, hides, and nuts were processed and preserved to be later used or consumed at seasonal camps. 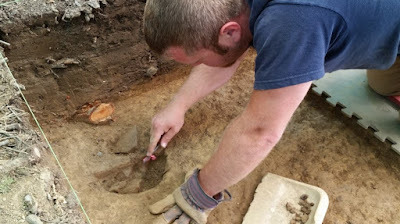 These tasks were accomplished using flaked stone tools of local Uniontown chert that was obtained within a short distance of the site. Some 97% of the toolstone used at 36WH1729 was Uniontown chert obtained from nearby—but currently undefined—sources. The site was occupied for perhaps a few days or a week during the fall, when the nut crop and game could be harvested in the vicinity of the camps. The inhabitants returned to base camps or hamlets along the larger streams’ drainage for the winter season. They must also have used nearby Early and Middle Woodland period burial mounds, but there is no evidence to indicate that they visited the mounds while camped at the site. The studies at 36WH1729 provided a new perspective on life during the Early and Middle Woodland periods in the upper Ohio Valley, one very different from that derived from the traditional focus on burial mounds and villages. The daily lives of families and small bands, and their intimate knowledge of the changing local environment evident in the use of resources like Uniontown chert, deer and wild plants, are all delineated in the material remains from small sites like 36WH1729. As the body of our knowledge of small sites accumulates, we can ask new and more detailed and relevant questions about how the past inhabitants of the region lived and adapted to changing conditions. Our ability to ask such questions, however, depends on paying attention to the small sites that were critical parts of past settlement systems. Giving such small sites their due reflects the major impact CRM archaeology has had on the study of the past. 2017 The Value of Small Sites for the Study of Late Woodland Subsistence: An Example from Southwestern Pennsylvania. Journal of Middle Atlantic Archaeology 33:27-48. 2017a The Significance of Small Sites in the Upper Ohio River Drainage: Investigations at 36WH1619. Pennsylvania Archaeologist 87(1):1-28. 2017b Eight Thousand Years on the Banks of Aughwick Creek: archaeological Studies at 36HU224, The Pogue Bridge North Site. Byways to the Past Series. The Pennsylvania Department of Transportation and Pennsylvania Historical and Museum Commission, Harrisburg. 2018 The Early and Middle Woodland Periods at Small Site in the Upper Ohio Valley: The Evidence from 36WH1729. Pennsylvania Archaeologist 87(1):1-28. March 20th officially heralded in the beginning of spring with the spring equinox, and we have been granted our first glimpses of warmer weather. The equinox is the point at which the earth’s axis tilts neither towards or away from the sun, it is the midpoint between summer and winter and the date when the day and night occupy equal amounts of time. Around the world, cultures have long marked this occasion as the end of winter and a sign that warmer weather is on its way. It is a time for celebration as the scarcity of winter fades into the welcome warmth and abundance of warmer months. The indigenous people who lived in this area before the arrival of Europeans were no different, marking the seasonal round by the movement of the sun, the phases of the moon, the constellations in the night sky and by observing the changes in their environment. In order to track the movement of the sun, ancient people built structures and utilized natural features which, either through imaging or sighting, tracked the movement of the sun from winter solstice to equinox to summer solstice and back again as the rising sun moves across the horizon from north to south. Sighting calendars use alignments of natural or man-made features to indicate the direction of the rising or setting sun, while imaging calendars create specific shadows or rays of light at certain times of the year. For a people who were far more connected to their environment than we are today, the movement of the sun and the accompanying changes were part of the rhythm of life, dictating when to hunt, gather plants or sow fields. Today we use dates on a calendar, but these ancient solar calendars are, in many cases, functioning just as they have for hundreds, if not thousands of years. With the passing of time, the indigenous cultures of this area celebrated their respective festivals and ceremonies, although often it was not the sun’s position that was used for the timing of these rites. The Iroquois and Delaware relied upon other events such as environmental changes, phases of the moon and constellations present in the night sky to determine the correct time for their ceremonies. The Delaware, as recorded by Frank Speck, use the position of the stars and the moon to inform them of the proper time to gather medicinal herbs, plant crops in the spring, and the time at which animals breed and fish move up stream. The gathering of materials for basket-making was also tied to the seasons, and in order to produce durable hides, animals must be killed at the right time of year. This determination of activities based on the seasonal round is pervasive and is an integral part of the indigenous lifeway. Star-lore was used to inform tribal members of environmental changes and the proper times for such activities as leaving for or returning from a hunt. A feature of Iroquois, Delaware and other indigenous cultures is the naming of each lunar cycle based on environmental changes occurring at that time. 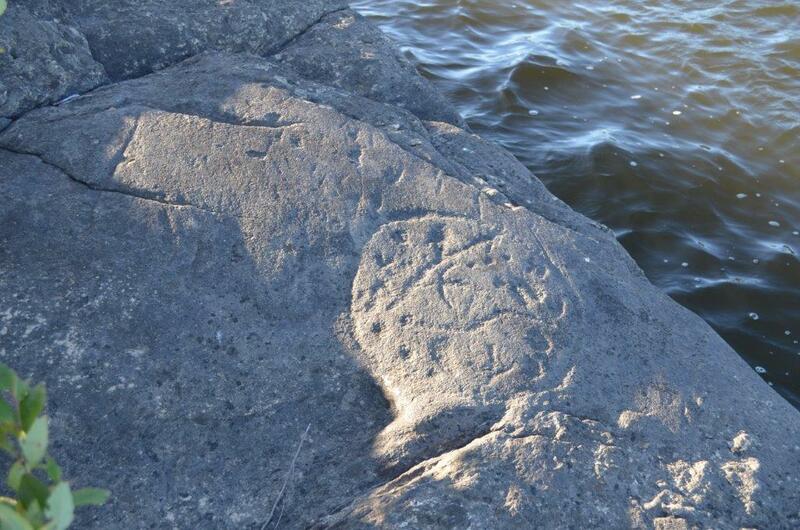 The moon names may change by group and location and reflect cultural and regional variation in indigenous culture. The lunar names give a clue as to the activity that occupies the central role for that time of the year. The names of the moons as described in the book Travels in New France. Moon names varied by region and cultural group. The cyclical nature of time and observances of the sun’s position have been recorded in the Middle Atlantic in ethnographic records, and to a lesser extent in village patterning and recovered artifacts. Whatever the season, there was always some significance to the time of the year as we travel around the sun and through the seasons, once again arriving at spring. 1996 The Iroquois. Blackwell Publishers, Malden. 1931 A Study of the Delaware Indian Big House Ceremony, Vol II. The Pennsylvania Historical Commission, Harrisburg. 1941 Travels in New France by J.C.B. Pennsylvania Historical Commission, Harrisburg. 1978 Handbook of North American Indians, Vol. 15, Northeast. Smithsonian Institution, Washington D.C. This week in Pennsylvania archaeology we are visiting some old friends and familiar collections. At the end of last week a few of the Section of Archaeology staff set out toward Milford, Pa, where they spent two days conscientiously packing up, long time collector and educator, Bill Leiser’s artifact collection from several eastern Pennsylvania sites. Mr. Leiser is a retired middle school science teacher, who collected on sites in the Upper Delaware River Valley for over 50 years and has spent time in his retirement continuing to educate students on prehistoric life in Pennsylvania and the importance of archaeology and record keeping. Mr. Leiser with a reconstructed pot and stone tools from the Santos site. Mr. Leiser discussing site information and artifacts with staff member as we work to safely bag and box up the artifacts. Mr. Leiser is a dedicated and knowledgeable avocational archaeologist who has devoted a lot of his time to excavating, curating and sharing his collections. Working alongside other avocational archaeologists such as David Werner, William DeGraw and a former student of Mr. Leiser’s- Fred Assmus these men honed their excavation and mapping skills. Fred Kinsey who was a curator with the William Penn Memorial Museum (now the State Museum of Pennsylvania) and later at the North Museum at Franklin and Marshall College in Lancaster, provided guidance to these former members of the Society for Pennsylvania Archaeology, Lenape Chapter 12. Bill gleaned invaluable knowledge on recording and mapping sites and continued to keep detailed records on his own excavations. You may remember from previous blog posts (Pike County, The Werner Collection, and In Memorium, Fredrick Assmus January 6, 1946-October 14, 2012) these other members of Chapter 12 have also donated their collections to the Section of Archaeology, which included most of the Zimmermann site (36Pi14) artifacts. Thanks to Mr. Leiser’s donation we believe we have completed our acquisition of all of the available Zimmermann site collection, which as has been mentioned in previous blogs is a large, well-documented site due to the efforts of Mr. Werner, Mr. Leiser, Mr. DeGraw and Mr. Assmus (Collecting in Archaeology). A few of the Zimmermann site artifacts in Mr. Leiser’s collection. One of the many shelving units and cases that Mr. Leiser safely kept his collections. Along with excavating and collecting at the Zimmermann site, Mr. Leiser also collected on numerous other sites. Some of these other sites include the Santos site (36Pi37 and 36Pi02) and the Ludwig/Pitman site (36Pi19), both of which are large multi-component sites with numerous artifacts covering a large span of time. As he learned from the Zimmermann site, Mr. Leiser continued to take copious notes, create maps of the excavation units and organized the artifacts in such a way that he retained the unit and level information for each one. It is this extensive work that lends to these collections true value as exceptional research sources and great tools to furthering our understanding of the history/prehistory of this region. Example of some of Mr. Leiser’s notes and maps for the Santos site. Example of how Mr. Leiser kept artifacts organized by site, unit and level. Bill and James with a few artifacts from the Santos site. With the help of Bill and his son James, archaeology staff were able to safely pack and transport Mr. Leiser’s collection to The State Museum of Pennsylvania, Section of Archaeology. We will begin to process Mr. Leiser’s collection into our cataloging and inventory system. This process allows us to prepare the collection for future researchers. 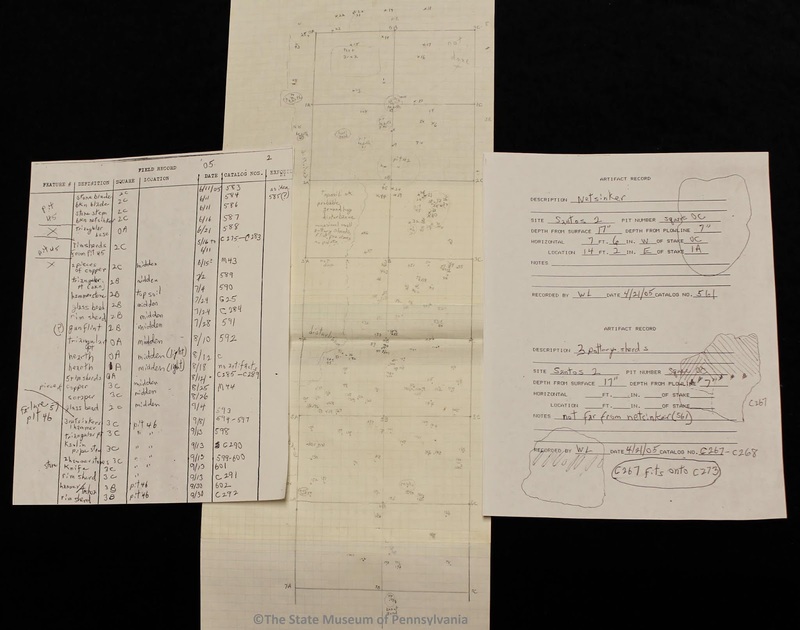 The inventory process encompasses current point and ceramic nomenclature facilitating an opportunity to further comparative research into these recently acquired collections from the Upper Delaware. We thank Mr. Leiser for his hospitality, diligence and efforts to help preserve these all-important pieces of our past. Archaeologists understand the importance of sharing our research with the community and offer a variety of venues for avocational and professional archaeologists to present their findings. Every spring there is a flurry of conferences available for the general public to attend and share in these discoveries. 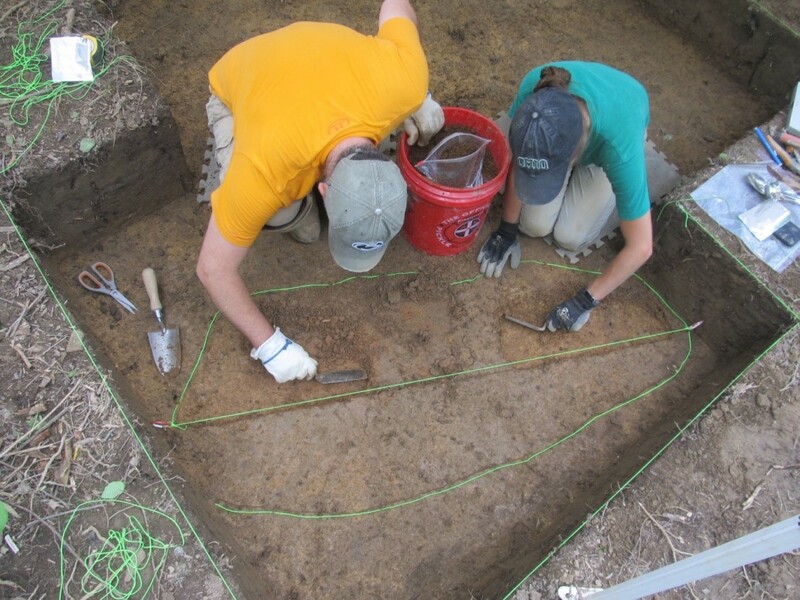 For those who would like to attend, the Middle Atlantic Archaeological Conference (MAAC) is being held in Ocean City, Md this year from March 21st – 24th. For the program and other additional information on the meeting please visit the website here: MAAC 2019. Online registration is closed, but walk-in registration is available. Another opportunity to hear about the archaeology of Pennsylvania is the Society for Pennsylvania Archaeology (SPA) annual meeting being held in Uniontown, Pa on April 5th – 7th. For additional information please visit the SPA annual meeting website at: http://www.pennsylvaniaarchaeology.com/AnnualMeeting.htm . We hope to see you at one of the spring meetings or at one of the speaking engagements of our staff. Please take some time to read about the archaeological heritage of our commonwealth and the lessons that archaeology can provide for the future. Follow the example of Bill Leiser and his friends to record archaeological sites that you may know about. Remember this is your heritage and it is our duty as citizens to strive to preserve the past for the future.